How Can I Get Pregnant with my Tubes Tied Without Surgery? One way that women can avoid having surgery when they are wondering about getting pregnant with tubes tied is through in vitro fertilization. However, having a child that is created from your own eggs will not be possible as long as your tubes stay tied. Because of this, donor eggs will need to be purchased. While this is an effective way to become pregnant, it is a rather expensive process. For example, the procedure itself will cost at least $10,000, but you will also have to pay for the donor eggs as well, which can costs several more thousand dollars. 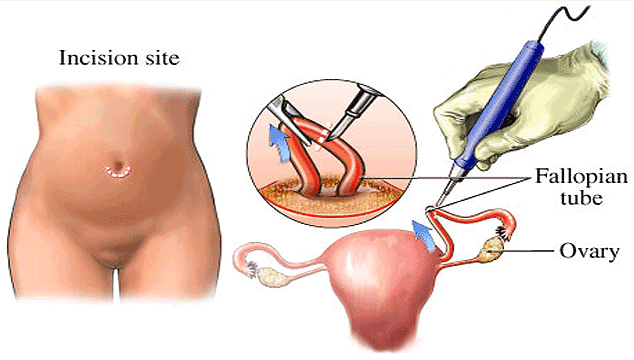 Surgery to reverse the tubal is probably the best option that you have and is usually successful. However, there are times when the tubes become blocked or are not long enough to attach. When this happens, the egg will still not have the ability to reach the uterus where it can become fertilized.